We also made a fruit smoothie using raspberries frozen from last year’s harvest. The residents’ gardens have a giant raspberry patch so we always have plenty to freeze. 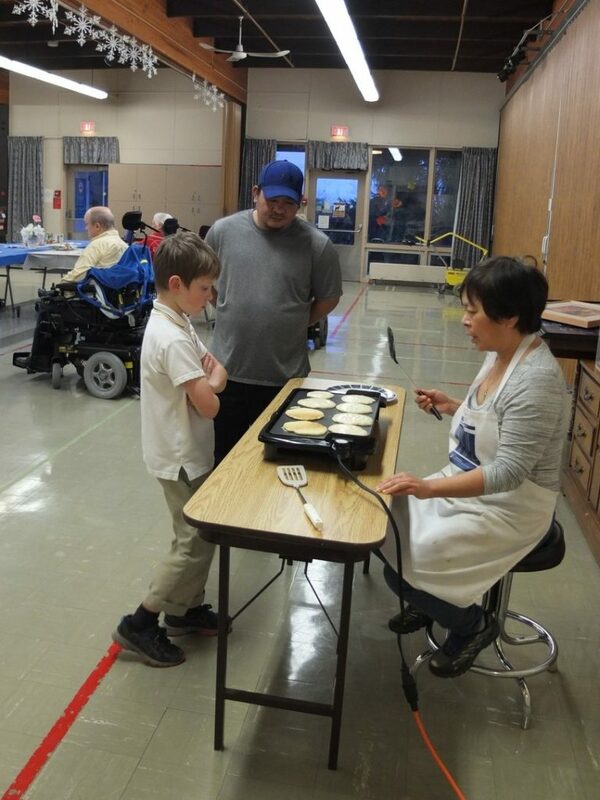 We also made pancakes out in the main dining space so we could hand out pancakes as they came hot off the griddle! With those pancakes we had real maple syrup and orange vanilla honey yogurt. From the oven we served Rosemary Roasted Roots (potatoes, yams & carrots). And of course, bacon – both regular bacon and turkey bacon. We also did eggs to order – fried or omelet. Now that’s something you don’t get on a hospital tray-style meal! 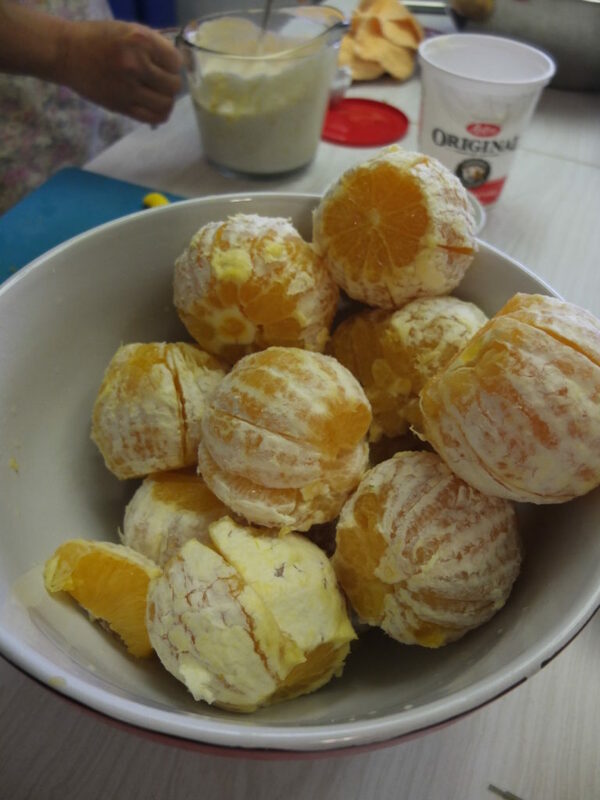 This entry was posted in Community Kitchen and tagged accessible, communitykitchen, food, georgepearsoncentre, sharingameal. Bookmark the permalink.